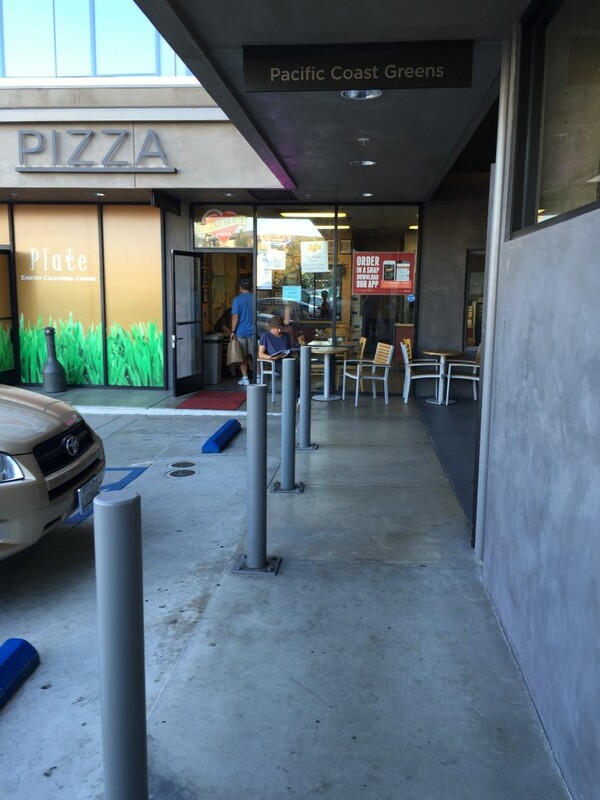 Many who live around Los Angeles might know D'Amore's Pizza since they have several locations. This wasn't the only D'Amore's Pizza I tried on my trip out to the West Coast. I also tried their location outside of UCLA. Both tasted similar but since I liked the Malibu location better of D'Amore's Pizza, I will solely focus on their slices. When people think of Malibu, CA it is doubtful they think of pizza. Never have I heard someone say “hey, let’s go to Malibu and check out some pizza places.” Usually it is to go for rehab, Pepperdine, or to their wealthy beach house. Well I am one of those rare travelers who decides to embark on a journey to find good pizza. On this day I ended up in Malibu and pulled into D’Amore’s Famous Pizza. 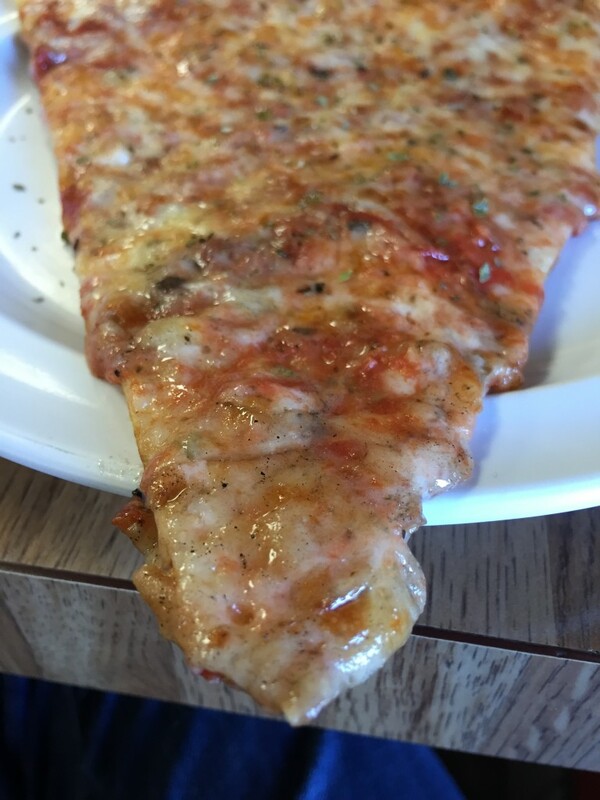 D'Amore's Pizza is located in a little strip mall on the east side of PCH. It is in the corner of the plaza and next to a health food store, which seems to be completely opposite of the food served in this small pizzeria. Upon entering D'Amores, I wasn't expecting much. Similar to Mike and Frank onÂ American Pickers, I was just freestyling and noticed the sign. 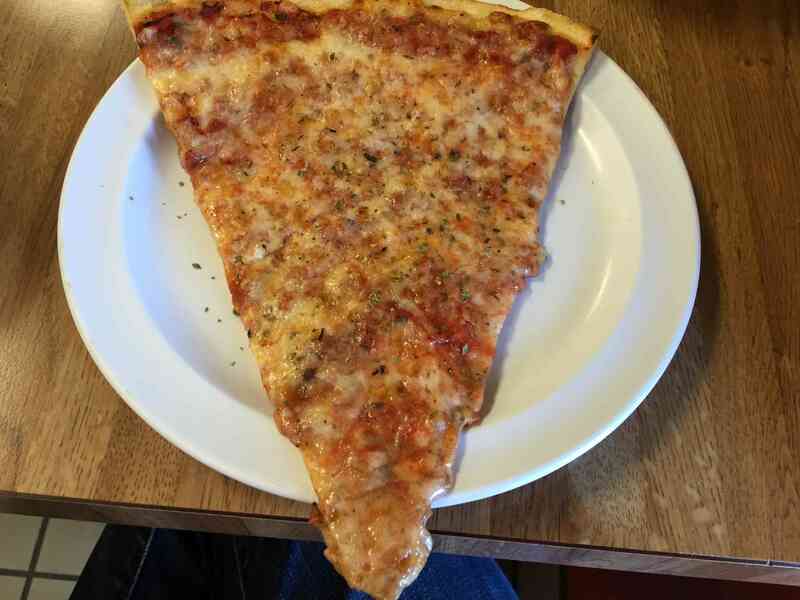 I ordered a regular slice and waited. When the girl told me the price I was astonished. It was over $4.00 with the tax. 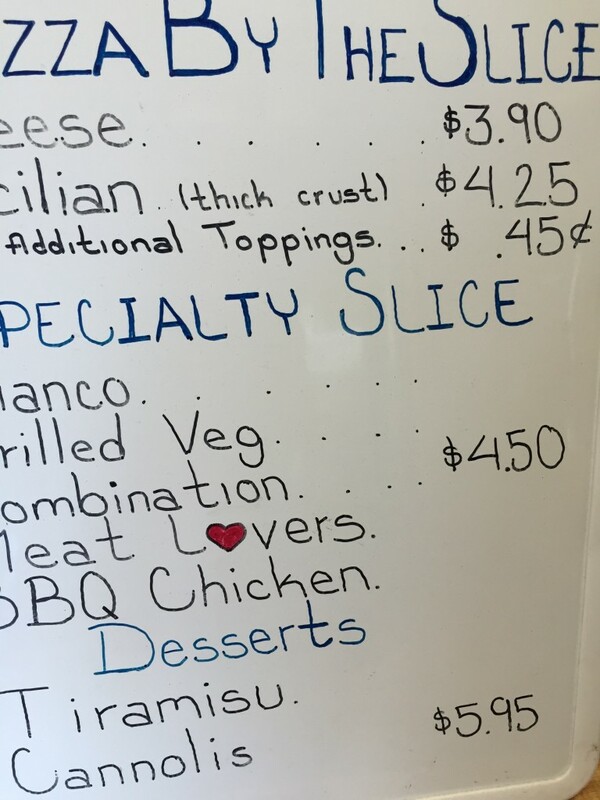 This had better be an amazing slice to charge that much.